...this is what we hope we can do for motivated students like yourselves. Help you open a door and help you take another step toward your dream. 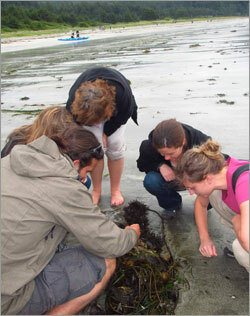 The National Oceanic and Atmospheric Administration’s (NOAA) Dr. Nancy Foster Scholarship Program provides support for master’s and doctoral studies in oceanography, marine biology, maritime archaeology and all other science, engineering, social science and resource management disciplines involving ocean and coastal areas particularly by women and members of minority groups. Dr. Nancy Foster Scholarships may provide, subject to appropriations, yearly support of up to $42,000 per student (a 12-month stipend of $30,000 in addition to an education allowance of up to $12,000), and up to $10,000 of support for a 4-6 week program collaboration at a NOAA facility. Masters students may be supported for up to two years, and doctoral students for up to four years. Depending on funding, approximately two to four scholarships are awarded each year. Scholarships are distributed by disciplines, institutions and geography, and by degree sought, with selections within distributions based on financial need, the potential for success in a graduate level studies program (academic achievement), and the potential for achieving research and career goals. maintain full-time student status for the duration of the scholarship award. Universities or other organizations may not apply on behalf of an individual. Prospective scholars do not need to be enrolled in a graduate program at the time of application, but must be admitted to a graduate level program in order to be awarded this scholarship. Eligibility must be maintained for each succeeding year of support and annual reporting requirements, to be specified at a later date, will apply. All Doctoral scholars are required to complete at least one program collaboration. For master’s degree level scholars, completion of a program collaboration is strongly recommended, but not required. The program collaboration opportunity is designed to allow scholars to participate in research or other activities for 4-6 weeks at a field office of the National Marine Sanctuary System, or other NOAA program offices. All Dr. Nancy Foster Scholarship Program recipients will be required to participate in a mandatory NOAA Orientation Training. 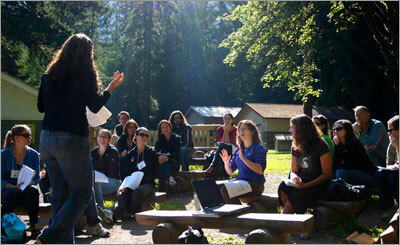 The date and location for orientation training generally occurs during the summer. All Dr. Nancy Foster Scholarship Program recipients must put together an outreach product (e.g., video, infographic) that communicates your scientific research in a way that the average person can understand it, as well as see why it matters to them. Scholarship recipients are required to provide annual reports documenting the scholar's activities, accomplishments, academic progress, research progress, and education and outreach progress. The report must include copies of receipts indicating disbursement of the education allowance and copies of receipts for allowable expenses under the program collaboration. The report must include a certification from the scholar's academic advisor indicating that the student's work is on track and a copy of the official transcript indicating the scholar has a minimum term and cumulative GPA of 3.30. These reports must be submitted through the Grants.gov system. At the conclusion of the program collaboration, recipients are required to submit a trip report documenting their accomplishments and including a summary testimonial of their experience. In addition, recipients will be required to participate in an evaluation survey. At the conclusion of the award, recipients are required to submit a final report encompassing their accomplishments during the award period and their post scholarship plans, especially regarding NOAA interactions and the "National Marine Sanctuary Ambassador" requirement. The final report should include a copy of the final transcript indicating degree earned, if applicable. All scholars are required to submit a copy of their Master's thesis or Doctoral Dissertation upon completion of their degree. This announcement is seeking proposals that do not generate environmental data therefore no data management plan is required as part of the application. The Dr. Nancy Foster Scholarship Program is administered through the NOAA Office of National Marine Sanctuaries and subject to appropriations. It is funded annually with 1% of the amount appropriated each fiscal year to the NOAA Office of National Marine Sanctuaries to carry out the National Marine Sanctuaries Act. Academic Record and Statement of Intent describing career goals and objectives of scholarship need. Quality of project and applicability to program priorities. Research proposals will be evaluated for relevance to NOAA's mission, with particular focus on the mission of the NOAA Office of National Marine Sanctuaries. Evaluation of recommendations and/or endorsement letters. Once NOAA receives an application, an initial administrative review is conducted to determine compliance with the minimum requirements, including completeness of the application and inclusion of all elements required in each of the Federal Funding Opportunity sections. Masters and doctoral applications will be evaluated based on the same criteria; however masters and doctoral scores will be ranked and considered separately. If an existing Dr. Nancy Foster Scholar who has been selected to receive funding for a Master’s level degree from a previous year of funding chooses to bypass the Master’s degree and continue directly to a PhD degree, they may be given priority in the final selection process and selected over existing applicants. All applications that pass the administrative review will be evaluated and scored individually in accordance with the assigned weights of the above evaluation criteria by a review panel. The panel will be comprised of three or more individuals, having expertise in NOAA-related science and knowledge of the program priorities of the NOAA Office of National Marine Sanctuaries. The reviewers will rate the proposals using the evaluation criteria and weighting provided above. The panel will then meet to discuss proposals. The review panel will not come to a consensus regarding applicants’ scores. The individual panelist scores will be averaged for each application and placed in a ranking order of all applications. The Program Officer will transmit the review information to the Selection Official and may make a recommendation to the Selection Official about applying the selection factors below. The Selection Official will award in rank order unless an application is justified to be selected out of rank order based on one or more of the selection factors below. Selecting Official may contact high-ranking applicants for further clarification of information in scholarship application.